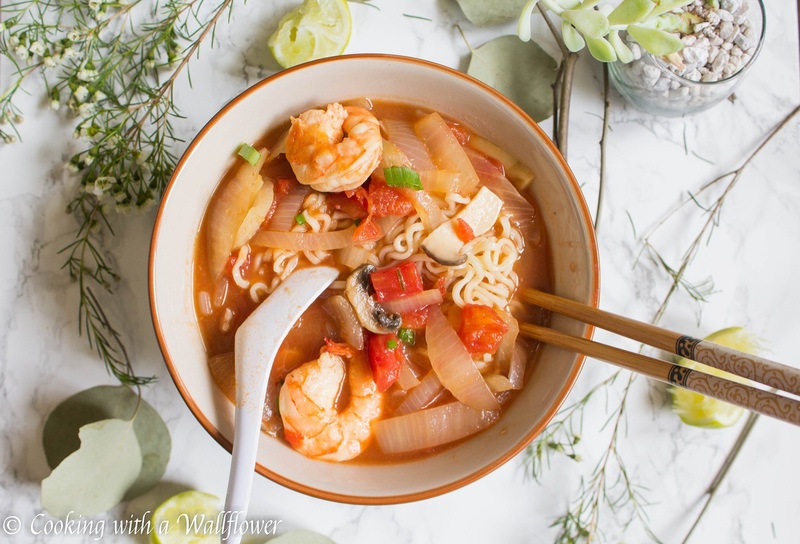 Thai hot and sour soup filled with shrimp, tomatoes, onions, and mushrooms and served with ramen. This Thai Shrimp Tom Yum Ramen is perfect for chasing away the cold winter chills. And I’m super excited and more than a little overwhelmed. There are so many things planned for March. Weddings, memorials, birthdays. Just to name a few. It’s going to be a whirlwind of events the next few weeks. Plus…. Now that it’s March, is it still too early to pack for my first week of April vacation? Or am I still too overly excited? I can’t help it though! I feel that it’s been awhile since I’ve taken an entire week off to go on vacation. Lately, getaways are just a few days here and there. Hopefully, by April though, it’s going to much warmer. Because even in the San Francisco Bay Area, it’s been a lot chillier than usual. 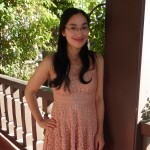 I’m ready for spring to arrive and for it to be at least several degrees warmer. 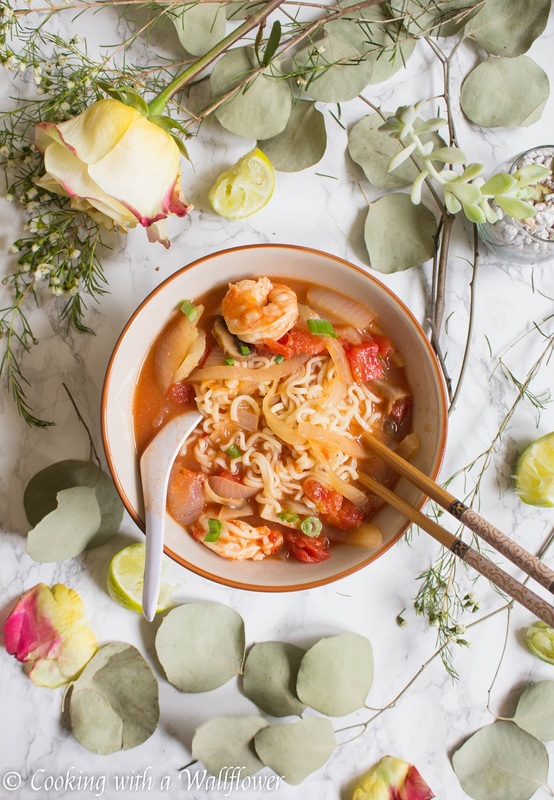 In the mean time, because I know we all need it to chase away the cold, let’s talk about this Thai Shrimp Tom Yum Ramen. 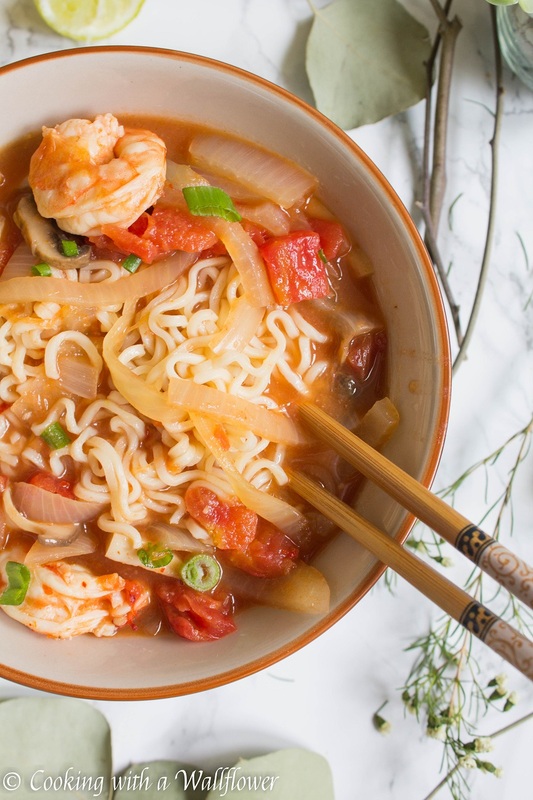 For this dish, you can use any noodles you like. I specifically wanted to use ramen. And you can use either fresh ramen or the instant noodle kind. Just remove all the seasonings. You will also need some specialty items, which you should be able to find at your local Asian supermarket. It’s a good investment to have some of these ingredients on hand, especially if you like to cook Asian dishes. 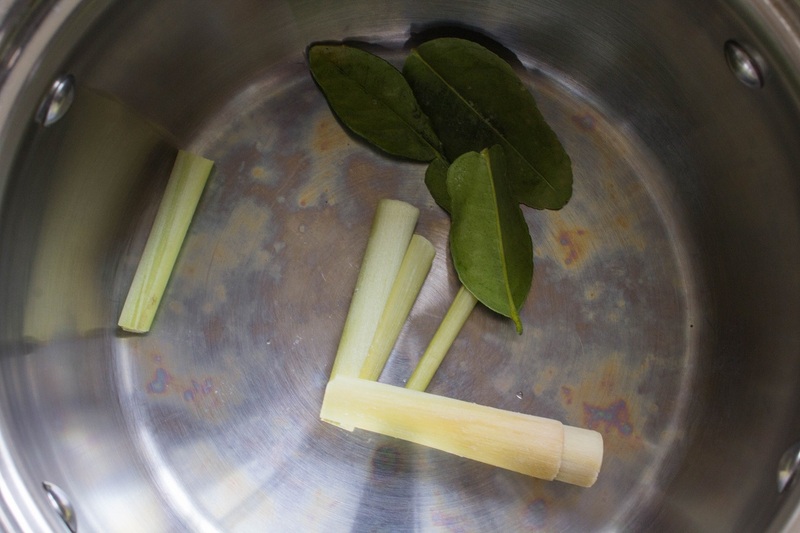 In a medium sized pot, add lemongrass, kefir lime leaves, and chicken broth over medium heat. Allow the broth to come to a simmer. 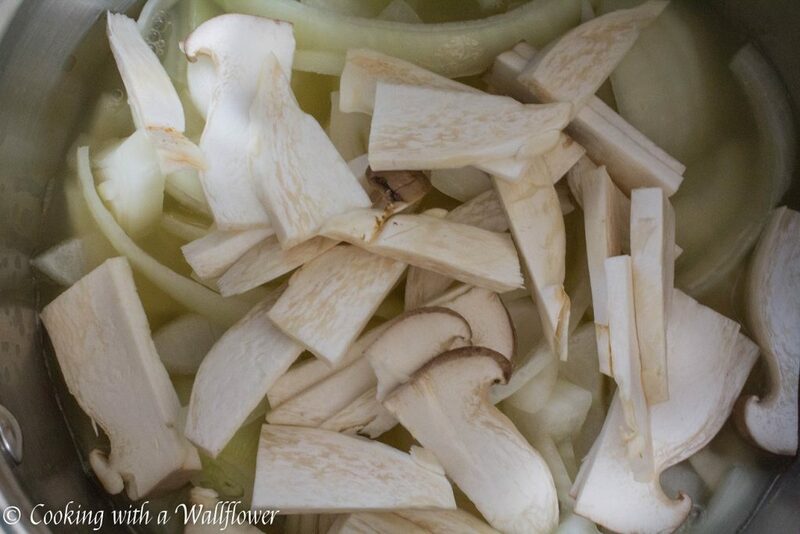 Then add sliced white mushrooms, oyster mushrooms, and onions. 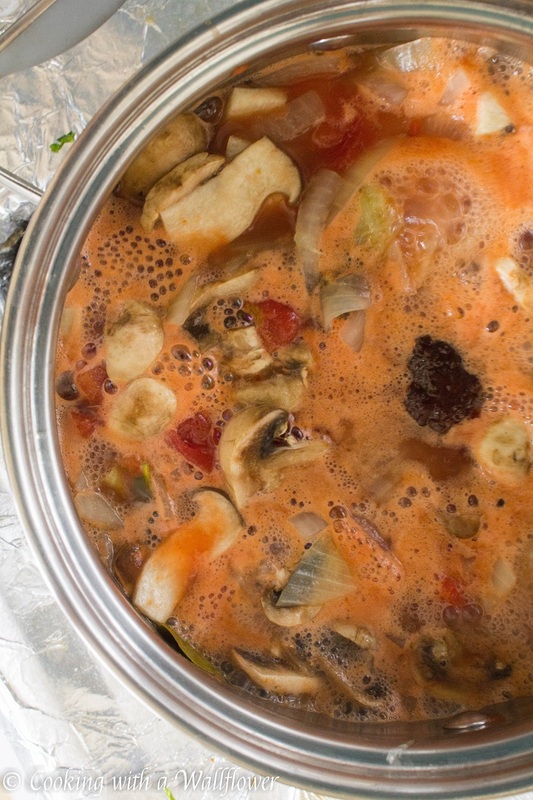 Let it simmer for about 10 minutes until the ingredients become tender. Pour the diced tomatoes and lime juice into the soup. Stir in chili paste with soya bean oil, fish sauce, and granulated sugar. Add sliced Thai chili pepper. Stir to incorporate all the ingredients. Allow the soup to simmer for another 5 minutes. Taste the soup, and adjust the flavor to taste. If the soup is too sour, add a little bit of sugar to help balance it out. If the soup isn’t sour enough, add more lime juice as needed. 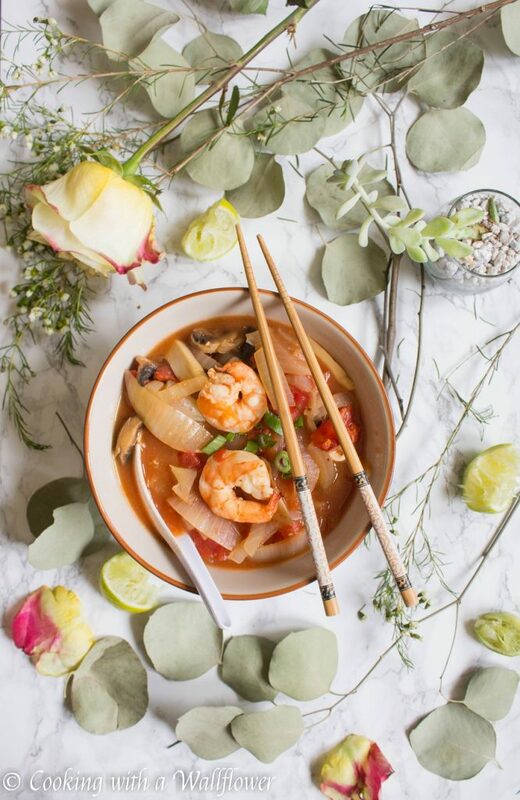 When about ready to serve, add the shrimp and cook until the shrimp has turned reddish orange and no longer appears translucent. Always add shrimp right before you’re ready to serve. 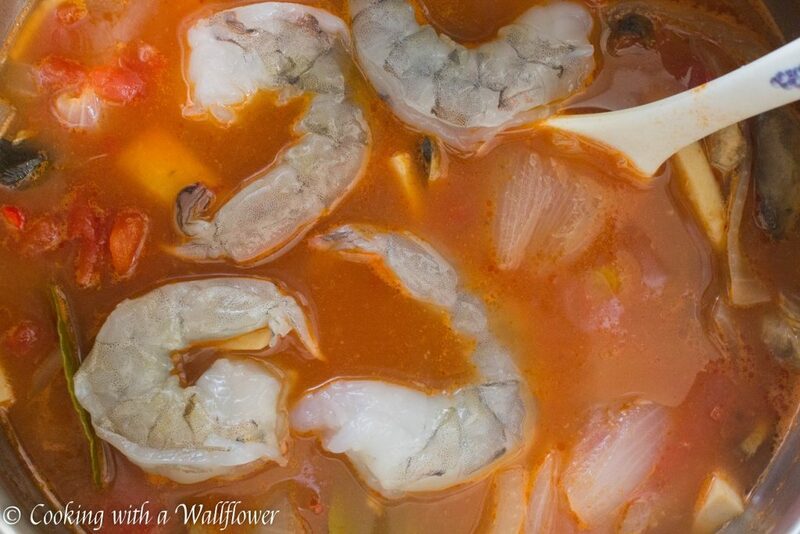 Shrimp cooks really fast and if you leave it in the soup for too long, it will become overcooked. In a small pot, cook the ramen according to the directions on the package. Drain the ramen and divide between two bowls. 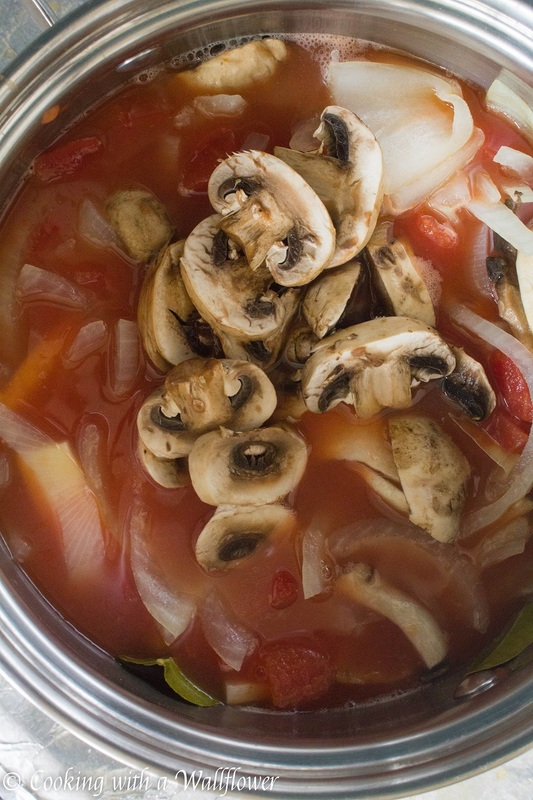 Use a ladle to divide the soup between the two bowls. Serve the Thai Shrimp Tom Yum Ramen warm. 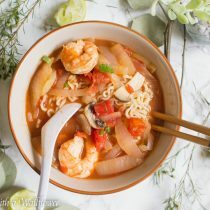 This entry was posted in Asian Inspired, Entree, Farmer's Market, Quick and Easy, Ramen, Recipes, Soup, Winter Cravings and tagged ramen, soup, Thai hot and sour soup, tom yum, winter food. This sounds delicious, something my whole family would love! The food looks great. But, the pictures. Wow! They are really pretty. oh yum. You’ve got me salivating! I love sour dishes. 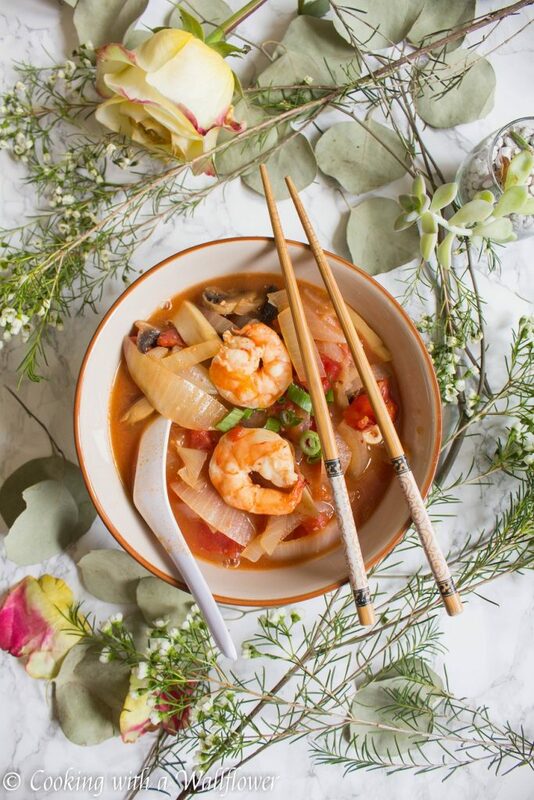 love shrimp in soup , looks so delicious!! Looks yummy!!! I’m going to try ramen one of these days!! Have you seen the movie “Ramen Girl?” You would love it!!! You really should! I haven’t seen Ramen Girl yet, but it’ll go on my to watch list.